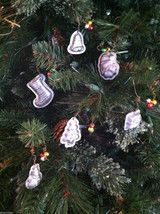 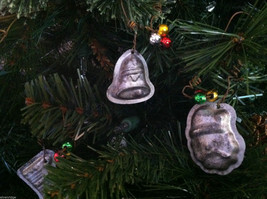 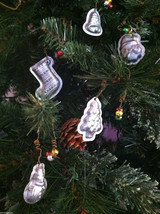 Decorate your tree with this set of 6 Christmas themed mini molds! 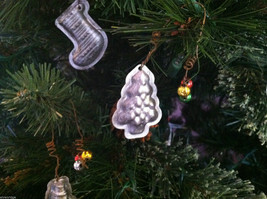 Included is a tree mold, stocking mold, bell mold, snowman mold, Santa mold, and present mold. 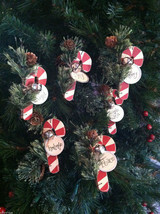 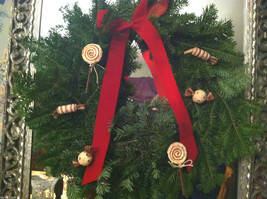 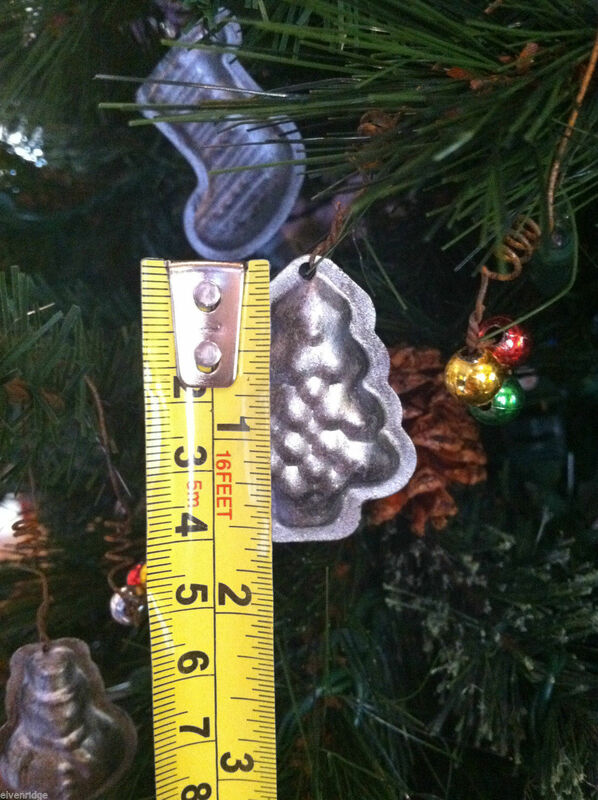 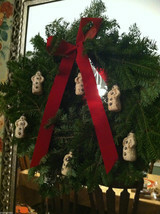 Each ornament measures approximately 1 5/8"(L) and hangs by wire that has 3 festive colored beads at the end. 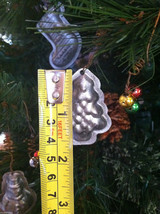 The box these ornaments come in measures 6 3/4"(L) x 1" (H) x 5"(W).